We are nearing a new year, and with that comes many great new opportunities! 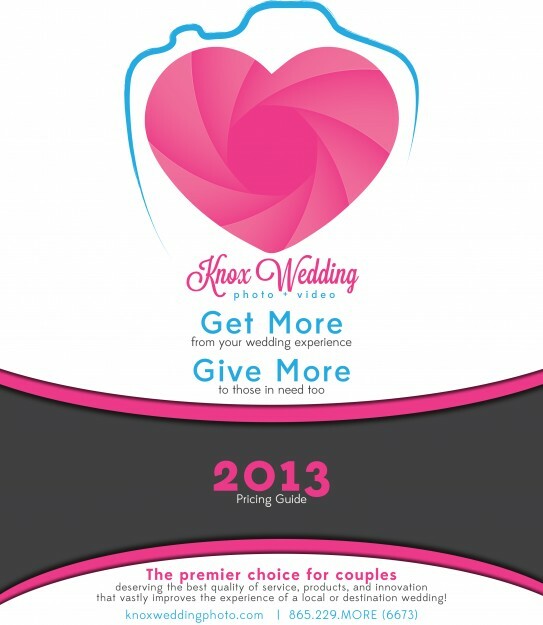 It also means the release of the 2013 Pricing Guide from Knox Wedding Photo + Video, which contains tons of great information about the offerings of KWPV! New photo and cinema packages! Now offering five packages instead of three. The newbies: the Foundation Package and the Diamond Premium Package, which bookend the previous package offerings. Lowered Pricing! With the updated pricing, KWPV has lowered the pricing points for many of the packages offered, while still offering the same amazing value! New Products! We’ve added many wonderful new products for both photo and cinema, including Blu-ray! Many more! Get a free PDF download of the Pricing Guide to see all the new and updated content for yourself! To get a free PDF download of the 2013 Pricing Guide, simply fill out the contact form at Knox Wedding Photo + Video today, and we’ll send it to you!